I don’t want to claim that I can see into the future, but I might just be able to see into the future. My future sensing might only apply to Minnesota Golden Gopher football, which is not the best thing to be able to see the future of, but I guess that I’ll take it. 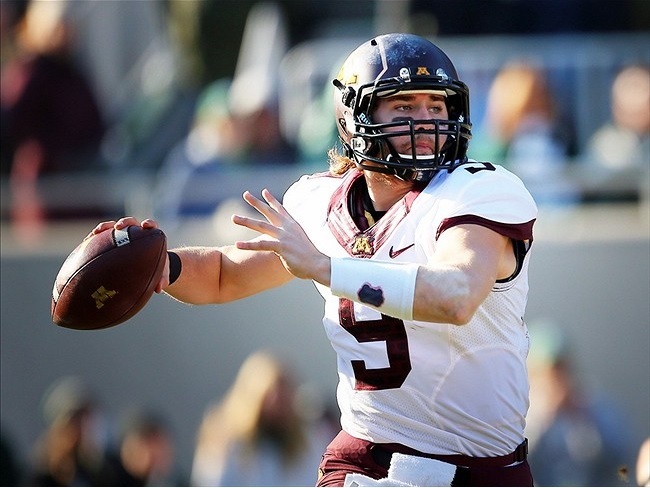 Quarterback Mitch Leidner rushed for 151 yards and four touchdowns to lift Minnesota to a 43-24 victory over San Jose State on Saturday. If Philip Nelson had his phone on the sidelines, I think he probably would have tweeted the same thing. Nelson announced he would transfer in late January.